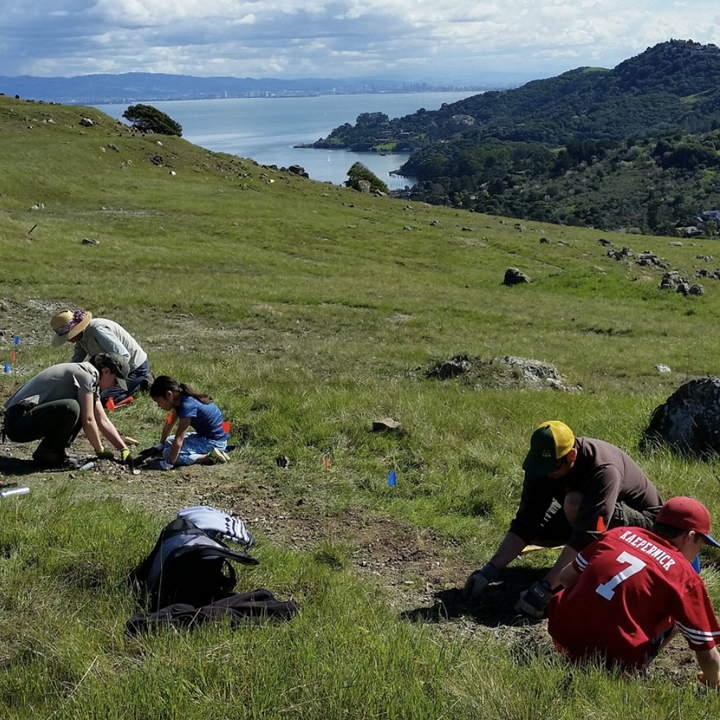 Join us for our monthly drop in volunteer workday as we focus on restoring the grasslands of Ring Mountain! Ring Mountain is home to numerous rare and endangered plants, but this habitat is being threatened by invasive species. Volunteer work may include invasive species removal, seed collecting, tarping, and/or installing native plants. Educational components are included as we discuss the plants and animals that inhabit this unique place and explain how volunteer activities are having a positive impact. Drop in days are held on the last Saturday of every month (except November and December). Volunteer work is mildly strenuous and involves bending, pulling, and kneeling, and usually requires a short hike to the site. It is possible for volunteers as young as 5 years old to join if teamed with a parent or guardian. Dress in layers you can get dirty, wear sturdy shoes, and bring water. Please bring gloves if you have them. Snacks and extra water will be provided. Directions: Meet at the gate at the end of Taylor Rd in Tiburon., From Hwy 101 in Corte Madera, take the exit for Tamalpais Dr east. Go straight onto San Clemente, which merges into Paradise Dr after 0.4 miles. Follow Paradise Dr approximately 1.7 miles, turn right onto Taylor Rd, and follow to end (dead end).